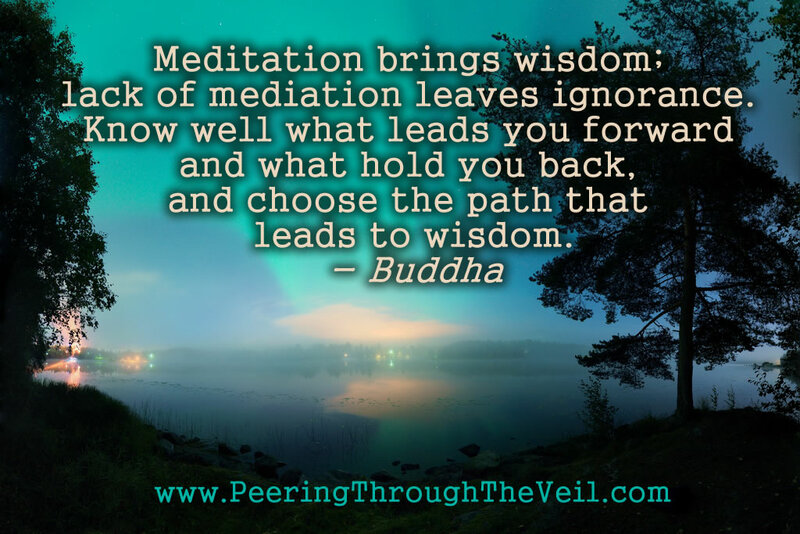 Enjoy this meditation quote by Buddha. 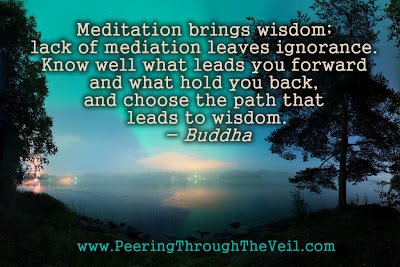 I'm more centered and at peace. I no longer seek approval from outside myself. I think faster and make better decisions. I no longer have stress-induced medical issues. 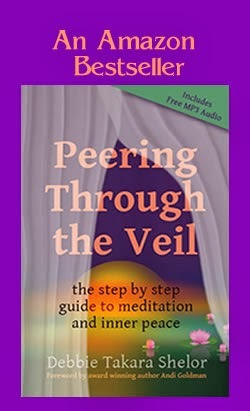 Return from the Budda Meditation page to the Peering Through the Veil Meditation Book home page.